Our range of premium slim cylindrical clear plastic juice bottles offers a stylish packaging solution for high quality soft drinks. 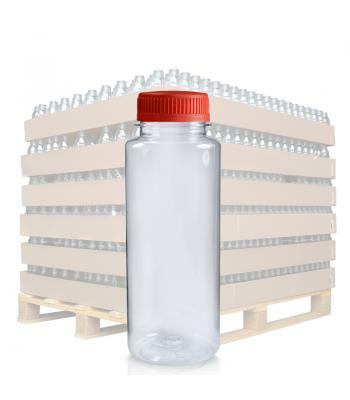 Our slim juice bottles are made from clear polyethylene terephthalate (PET), which gives a glass-like look, but with the advantages of being lightweight and shatterproof. These juice bottles have been created from raw materials, via a thoroughly regulated manufacturing process, for superior quality. 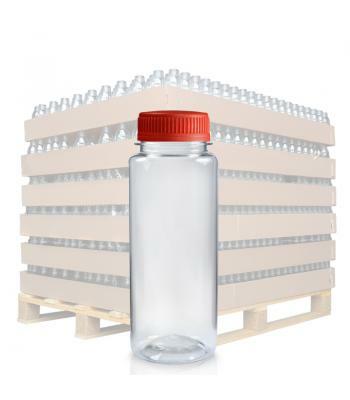 Slim PET juice bottles are available in 150ml, 200ml and 250ml capacities, all with a 38mm neck size. 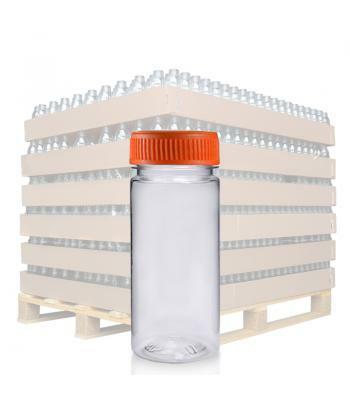 Each bottle is available with a choice of coloured tamper evident screw caps (natural, black, green, red, orange, white or yellow), for the prevention of contamination, from the point of bottling to the product reaching the end user. As well as fruit juices, smoothies, milkshakes, flavoured waters and health drinks, these bottles can be used for cooking sauces, marinades, seasonings and other foods.